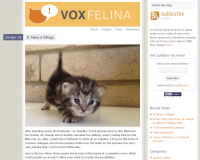 This website is a blog intended to be a resource for research notes, news stories, correspondences & associated opinions focused on a range of issues related to feral cats in general, the TNR (trap-neuter-return) in particular. The blog offers significant benefits by zooming in on the details in each post going into the complexities of a given topic. The tags permit intelligent linking and cross referencing which would be impossible in the print domain. The two column layout one for blog posts and the other for the RSS feed, recent posts, categories & archives is intelligently laid out and used well with the Exile theme. Check out how the tabs highlight each post outside on the left hand side. 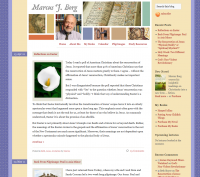 Marcus J. Borg is internationally known in both academic and church circles as a Jesus and biblical scholar, lecturer and author whose interests are also broader, focusing on what it means to be Christian today — especially what it means to be an American Christian in a time of a deeply divided American Christianity. He is the author of twenty-one books, several of which have been best-sellers. Many have been about Jesus. And some have been about God, the Bible, the New Testament, the heart of Christianity, and reclaiming Christian language. One is a novel whose characters wrestle with these issues. 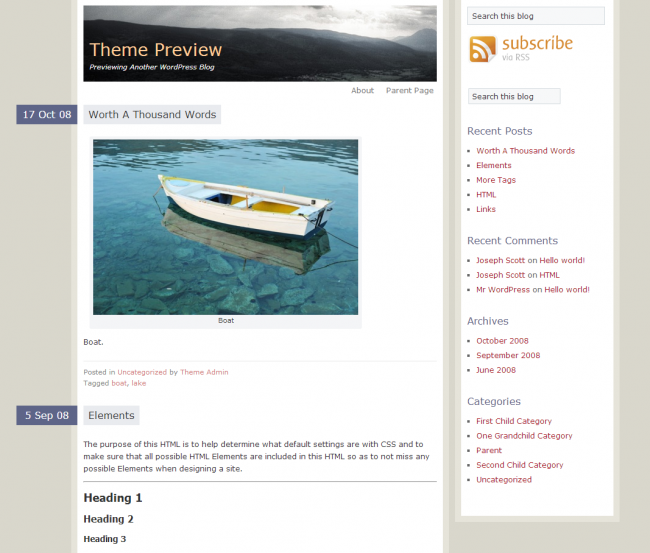 The unique two column layout from the Exile theme highlights blog posts along side the widget bar including: search, rss, his books, upcoming lectures, links, categories, tags, archives & more. As a nationally known leader who is an openly gay, white South African Episcopal priest, Robert V. Taylor has navigated being part of the religious establishment while also being an outsider. Discovering his own voice and crossing the lines which society often draws has brought him insights into compassionate living. 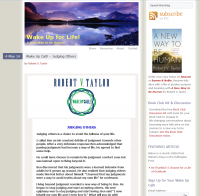 Experiencing life as both an insider and outsider, Robert invites you into a new way of being fully human in Waking Up For Life! The courage to be who you are, freedom to discover your voice and trusting your imagination are among the pathways Robert invites you to discover. He lives by his own belief that goodness and kindness are possible each day as we show up for life.